Global Design Competition for National War Memorial is conducted by Ministry of Defence, Government of India in the memory and honour of the sacrifices of the brave soldiers of India. Global Design Competition is an international competition for the designing, planning and Implementation of that Memorial structure inviting designers from all over the world and India. There will be two stages of the competition: Stage 1 and Stage 2, Shortlisted teams/individual will be eligible for the stage two. The last date to apply for the Stage 1 competition is September 15, 2016. Stage 1 winner will get a grand prize of USD 30,000. Followed by 2nd and 3rd winners and 9 other shortlisted entries. About National War Memorial: National War Memorial will be an architectural structure for the tribute to the martyr and sacrifices of the brave soldiers. It would be a place where people will show respect to the brave ones who have sacrificed their life and belongings for protecting the nation. National War Memorial is contemplated to be built in New Delhi, adjacent to the India Gate and Amar Jawan Jyoti. 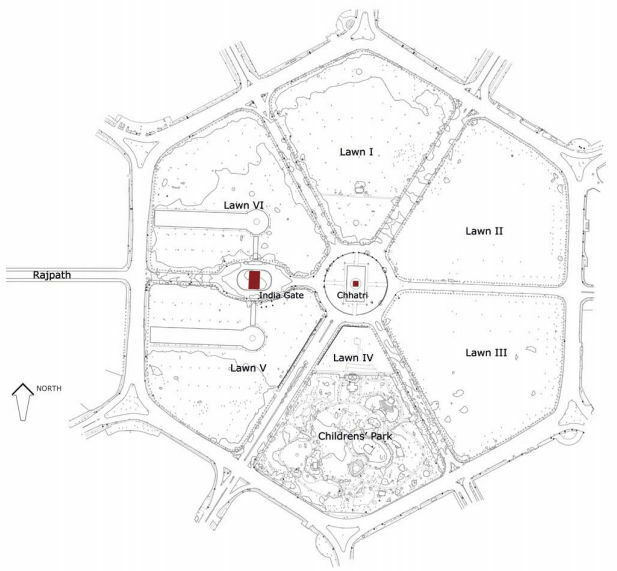 It is proposed that lawns within the Hexagon will be utilized as the site for the memorial (without disturbing Lawns V, VI, Chhatri (Canopy) and Childrens’ Park). The competition is open to all designers in India and abroad. Multi -disciplinary teams led by a designer are also invited. However, the individual designer or the multi-disciplinary team should have at least one of the members as a registered Architect (in their respective countries). Multi -disciplinary teams led by a designer are also invited. Participants must have at least one registered architect from their respective countries in their teams or individually. Global Design Competition for National War Memorial rewards is as follows. Top 9 entries of the competition will get the above-defined prize money only after their submission of the entries for Stage 2. 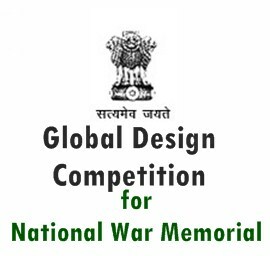 Applications for Global Design Competition for National War Memorial Stage 1 is to be submitted online only, Participants have to register themselves on www.MyGov.in and have to follow the instruction of submission and submit applications by following the link given below. STEP 1: Participants have to register on the following given link with their correct details. STEP 2: Designs and sketches by the designers should be in the PDF format for the stage 1 submission; applicants have to upload them after login to the Mygov.in. STEP 3: Click on the submit button to submit your entry. Stage 1: Submission of the application will be done on the Mygov.in, following given guidelines are to be followed by each participant before the submission of the application. All the sketches and designs must be in a Portable Document format i.e. PDF. Applicants can submit the description of their entries supporting their interpretation towards sketches in PDF format which must not exceed 10 number of A3 sized sheets. Stage 2: Global Design Competition for national war Memorial Stage 2 guidelines for the submission of the entries are given below. A report in PDF Format supporting the designs and implementation. Site Plan and Master Plan in PDF format. Plans at all levels and elevations. Further information will be sent to the top 9 competitors. The Memorial would need to solemnly showcase number, rank, name and unit of approximately twenty-five thousand martyrs. For making an absorbing and unforgettable experience installations such as art murals, statues, fascias celebrating battle victories and sacrifices may be incorporated. The National War Memorial would thematically integrate with the National War Museum, which is proposed to be built at Princess Park, through an underground connection, providing the visitor with inspiring opportunity for an enriching and gratifying experience. The aims and objectives of the promoters’ introduction and intent. Responsiveness to local microclimate and achievement of energy efficiency through design. Integration with a good landscape design and using the elements on site in the best possible manner. The user-friendly response of the design to the general public and visitors to the premises. Flexibility in design for additions, expansion or alterations for accommodating future needs. Sensitivity to the local character of the site and its surroundings with the special emphasis on the location of the site in the heritage area of Lutyen’s Bungalow Zone. In case foreign architect is selected for the award of the work he/she will have to establish his/her office in Delhi, in association with deputed, experienced, registered Indian Architect, till the completion of the project. All the queries of the Global Design Competition for National War Memorial will be clarified via Email given above only.